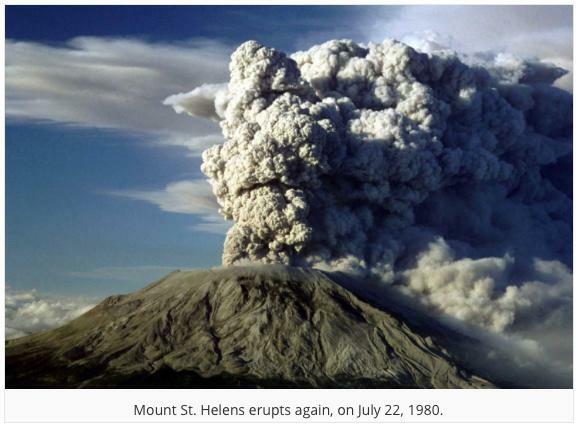 The eruption, which was was preceded by a two-month series of earthquakes and steam-venting episodes, has often been declared as the most disastrous volcanic eruption in United States history. 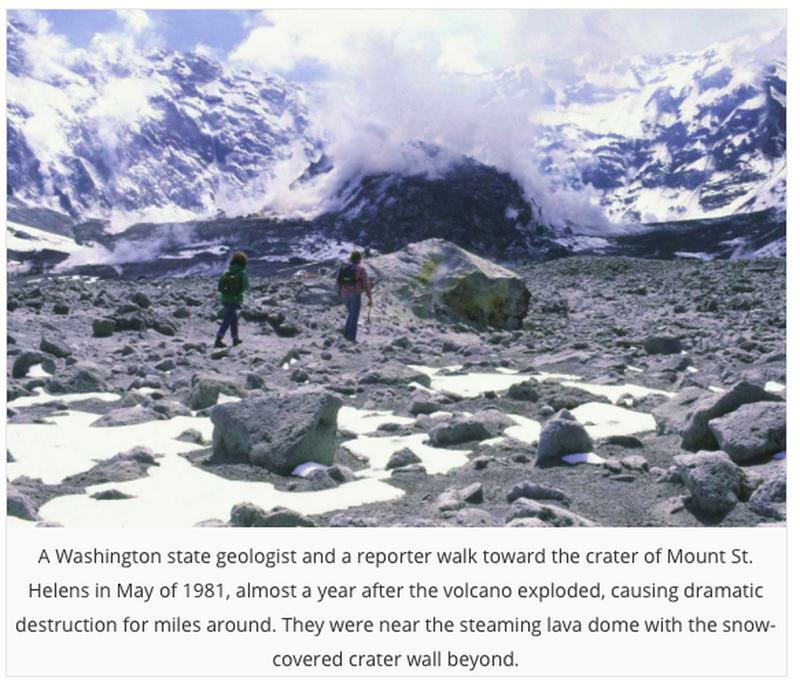 It was caused by an injection of magma at shallow depth below the volcano that created a large bulge and a fracture system on the mountain’s north slope. 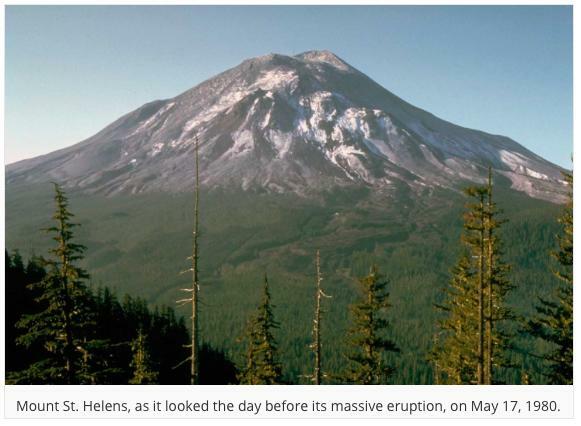 On March 27, after hundreds of earthquakes, the volcano produced its first eruption in over 100 years. 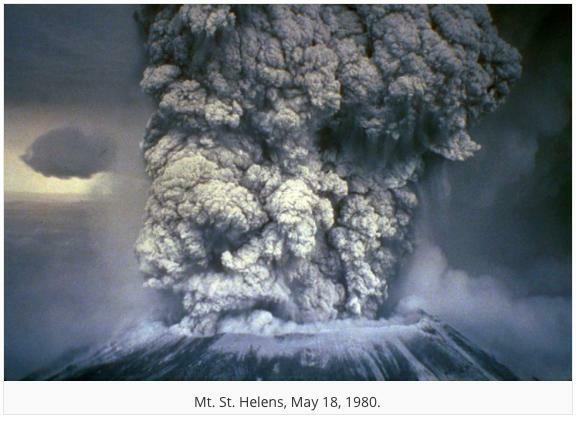 Steam-blast eruption from the summit crater of Mount St. Helens on April 6, 1980. 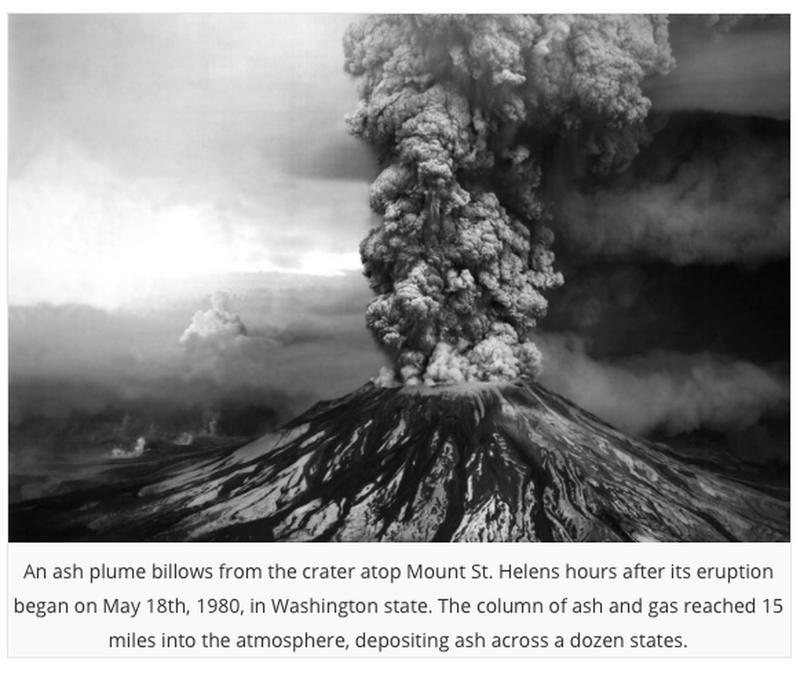 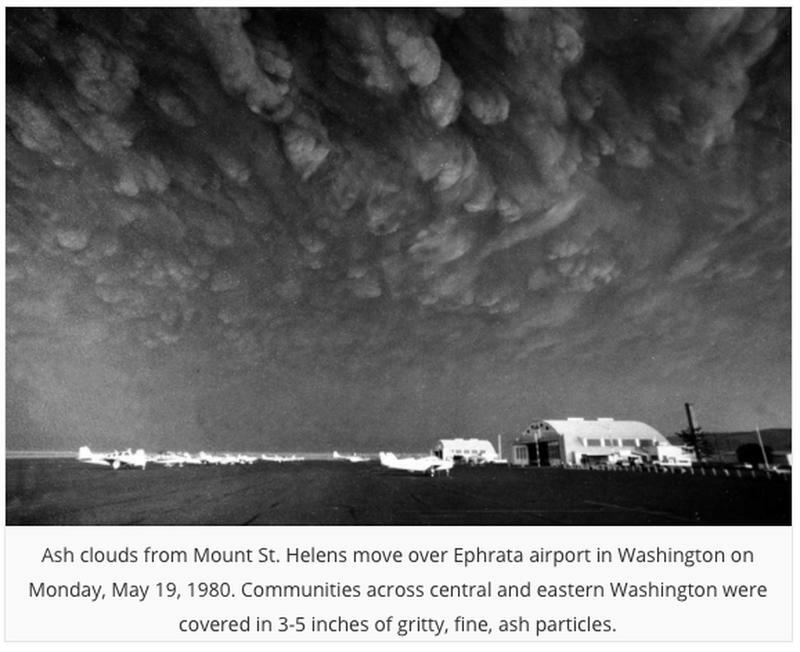 The eruption column rose 80,000 feet into the atmosphere and deposited ash in 11 U.S. states. 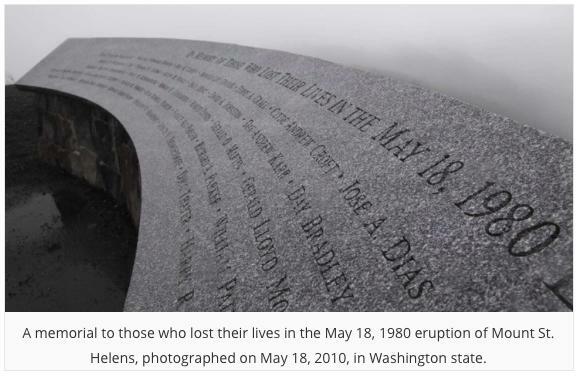 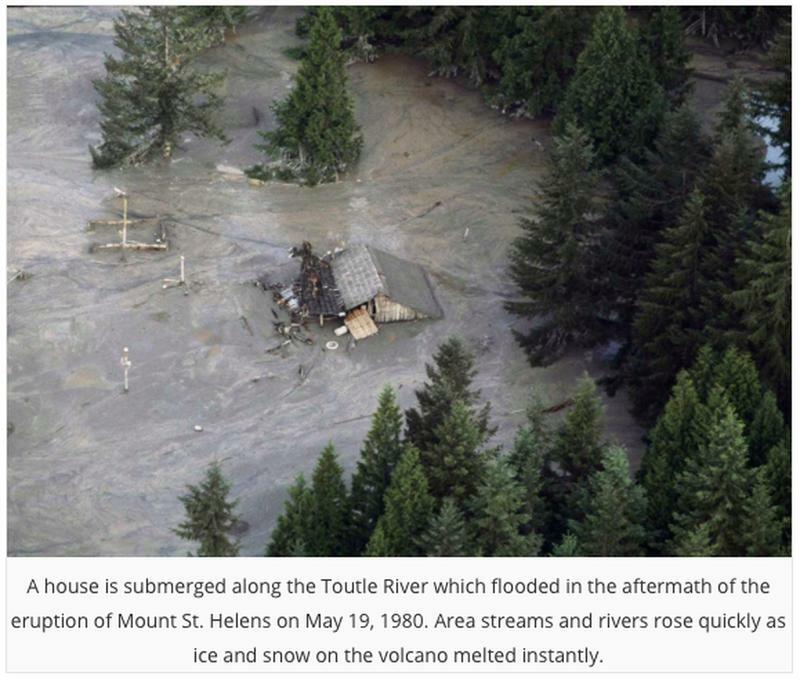 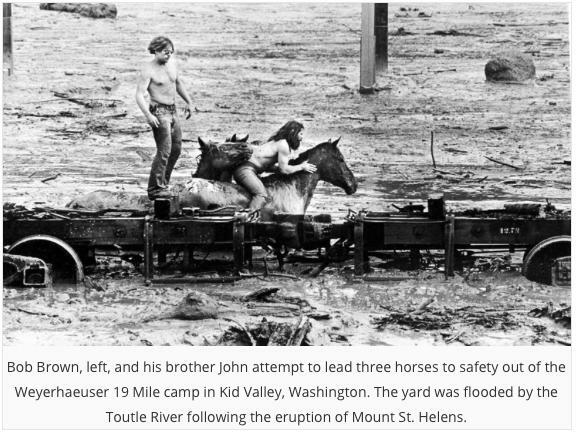 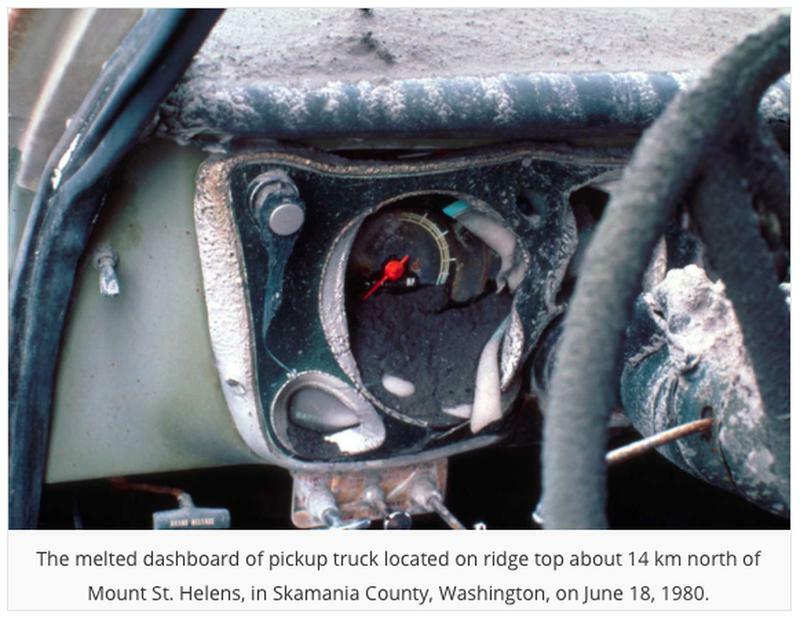 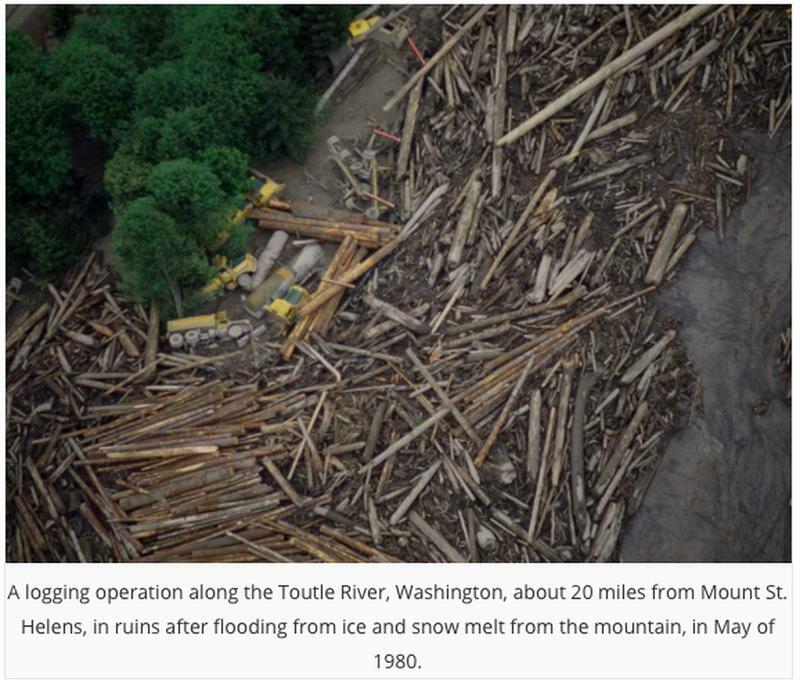 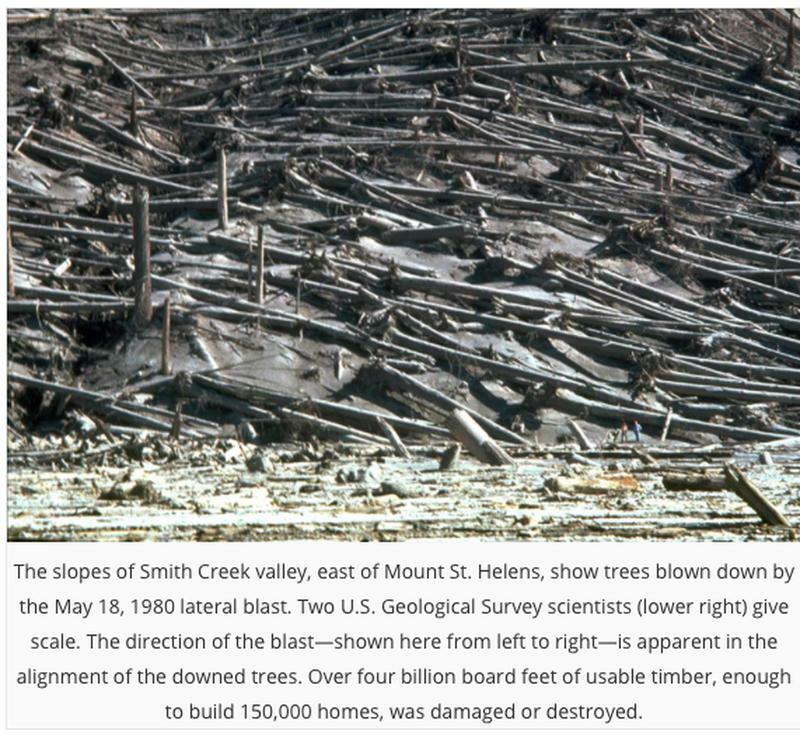 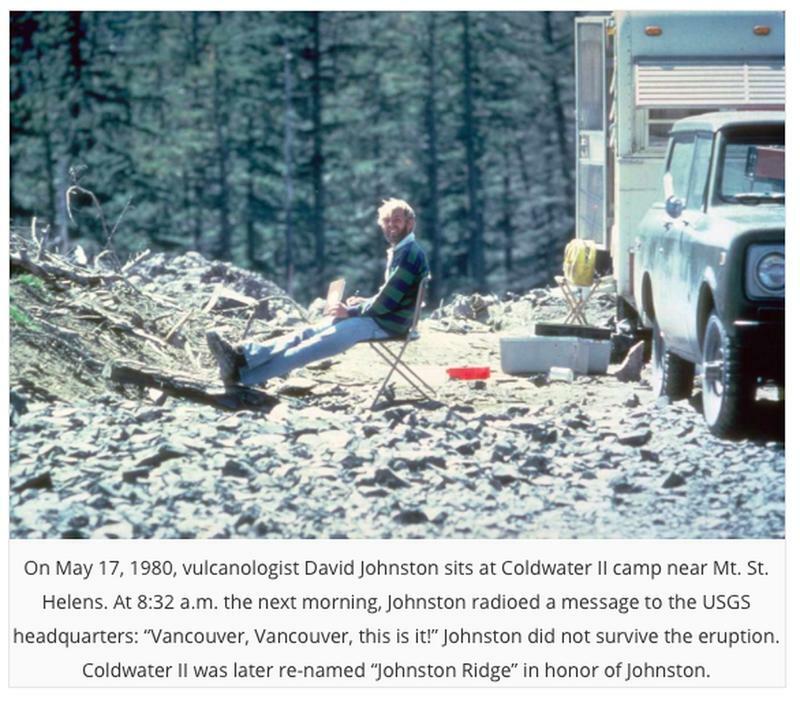 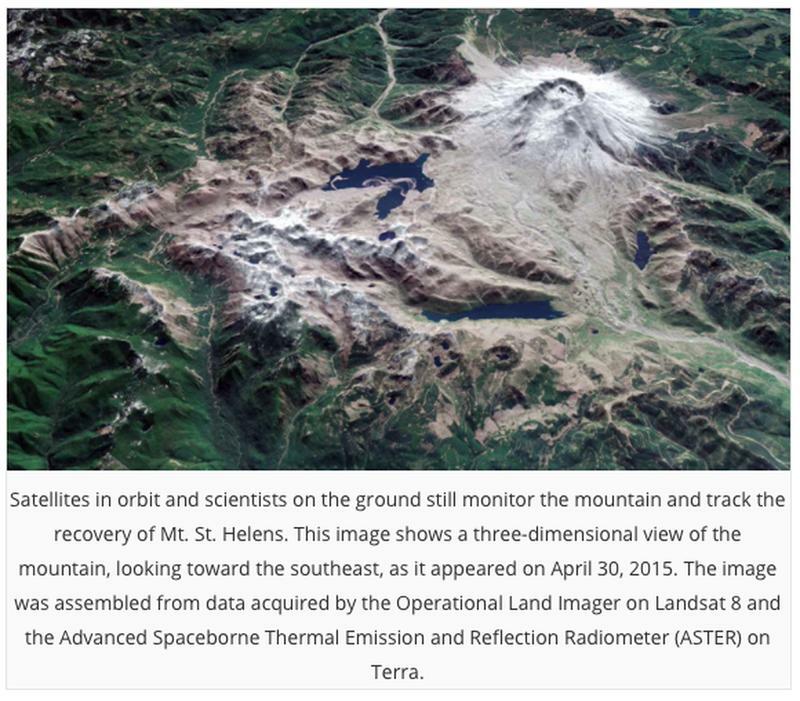 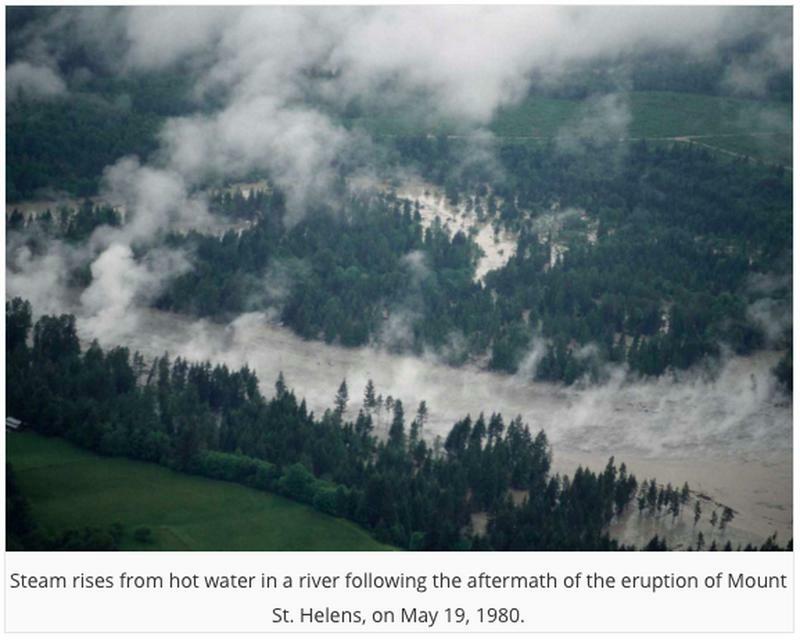 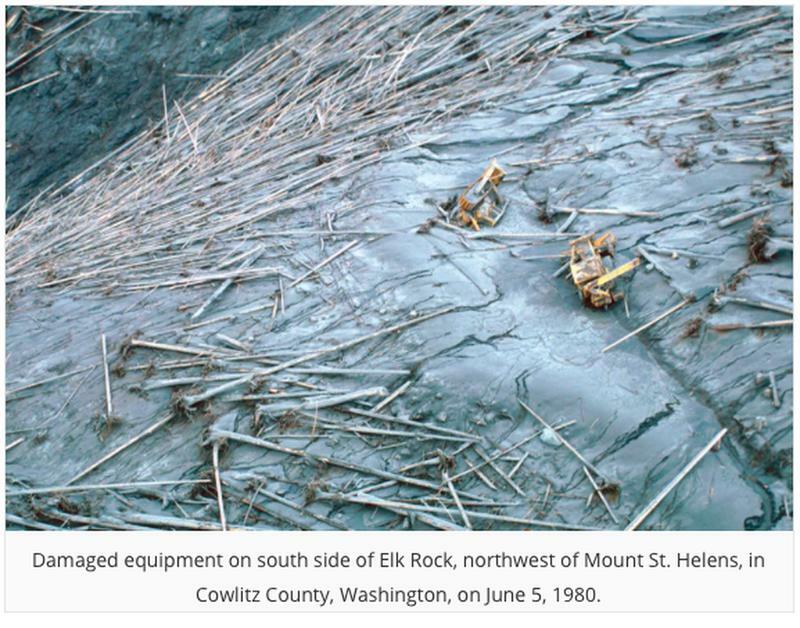 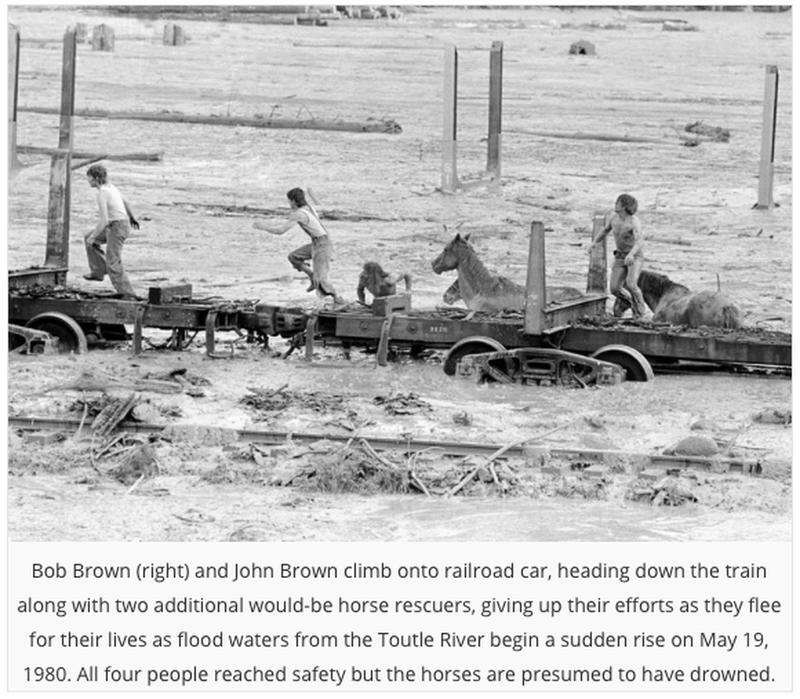 At the same time, snow, ice and several entire glaciers on the volcano melted, forming a series of large lahars (volcanic mudslides) that reached as far as the Columbia River, nearly 50 miles to the southwest. 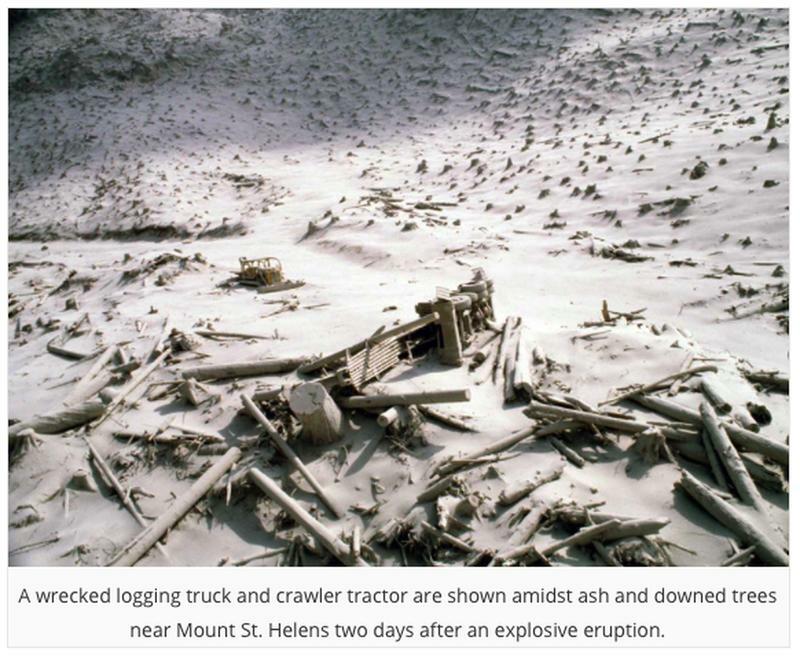 Approximately 57 people were killed directly, including innkeeper Harry R. Truman, photographers Reid Blackburn and Robert Landsburg, and geologist David A. Johnston. 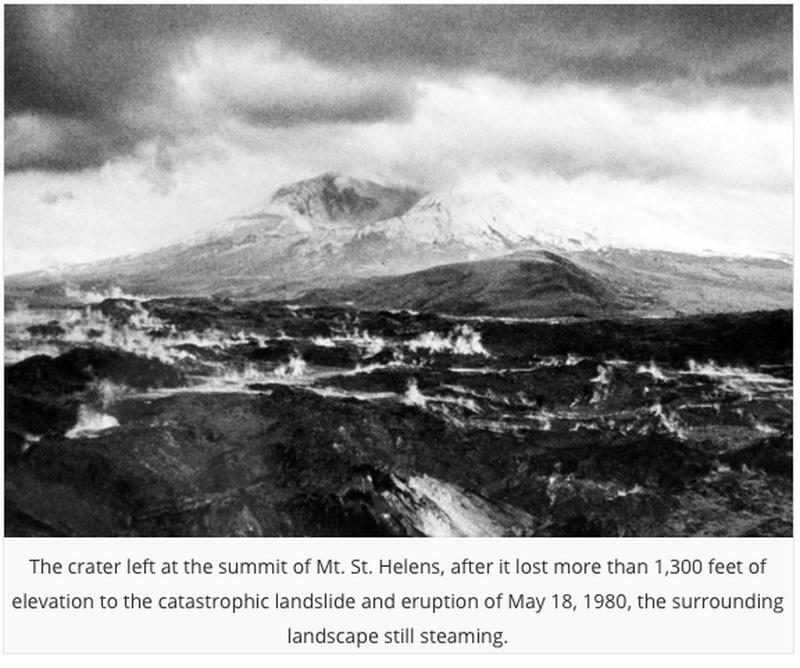 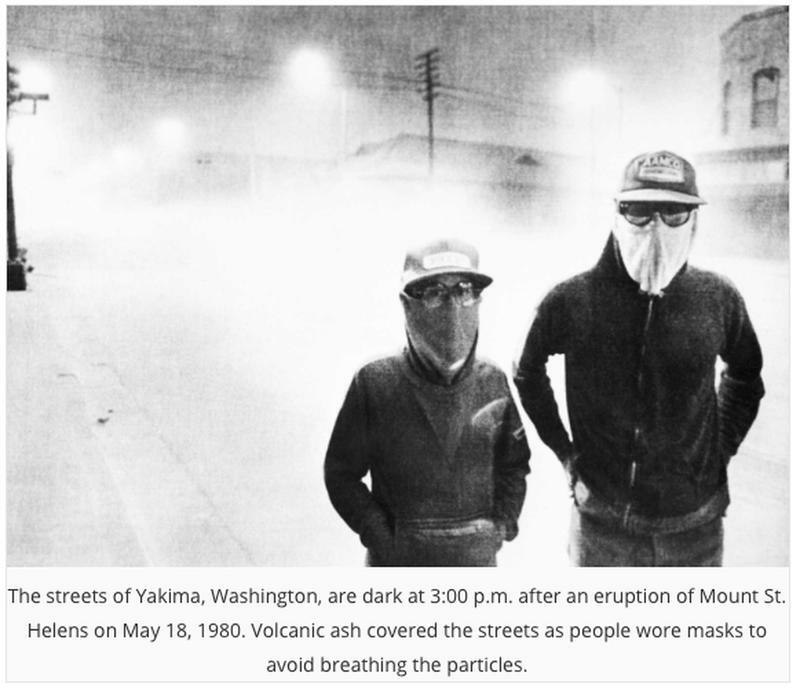 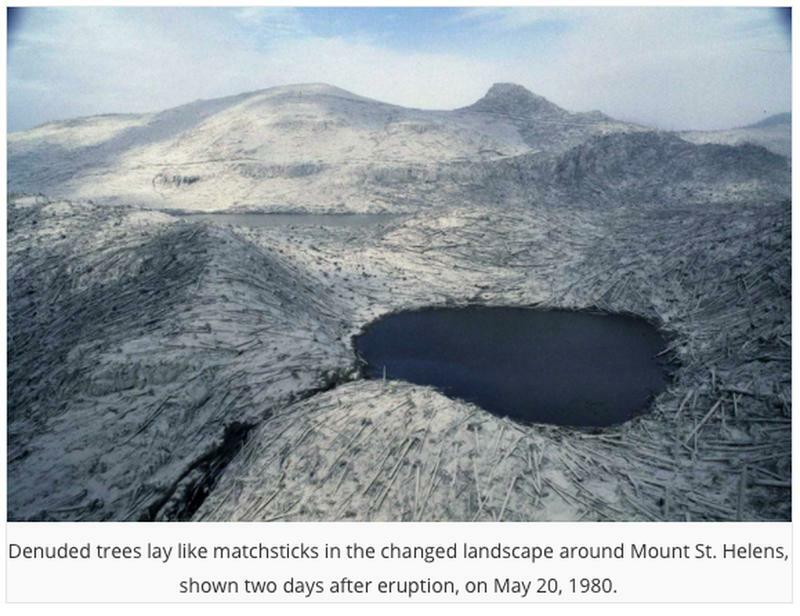 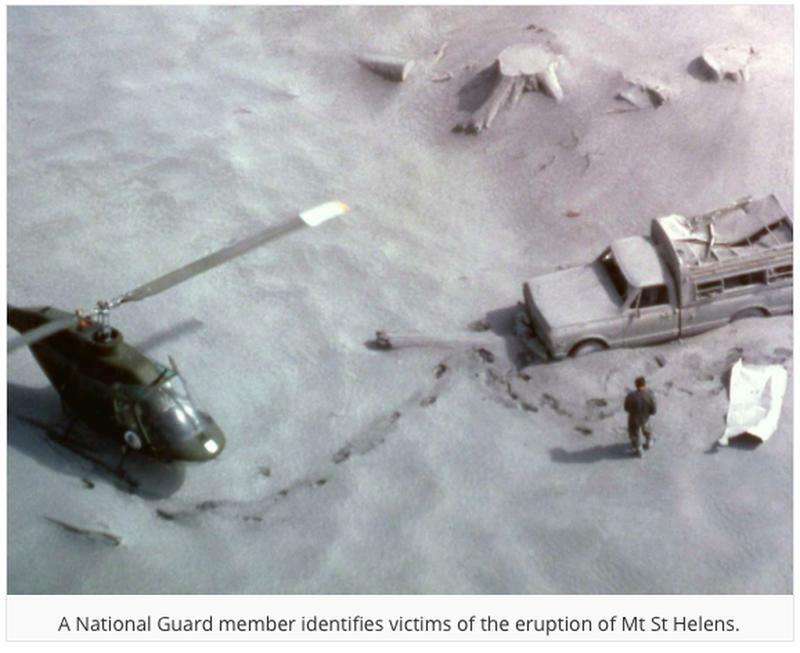 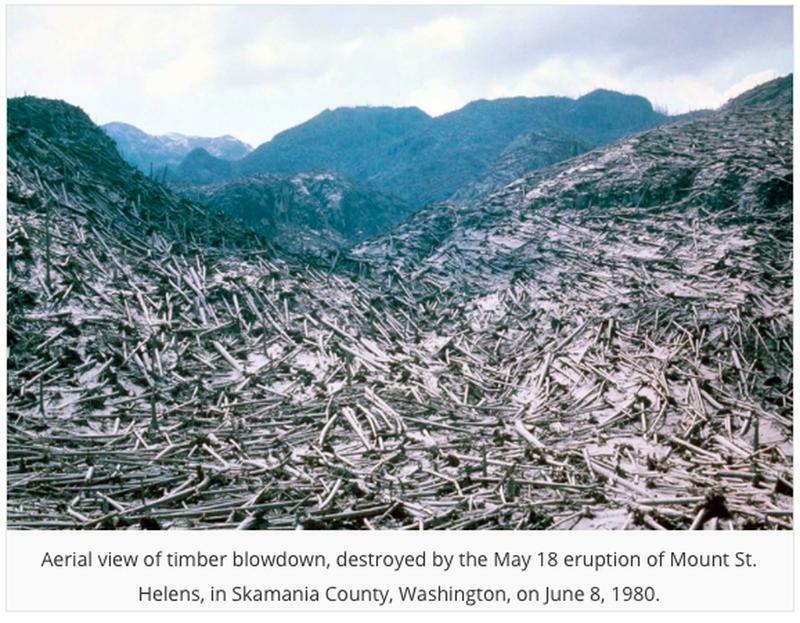 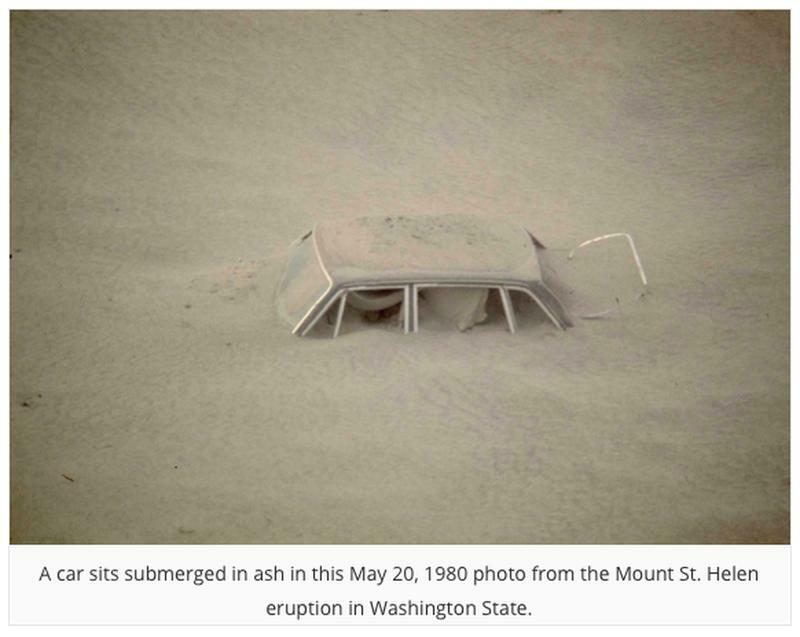 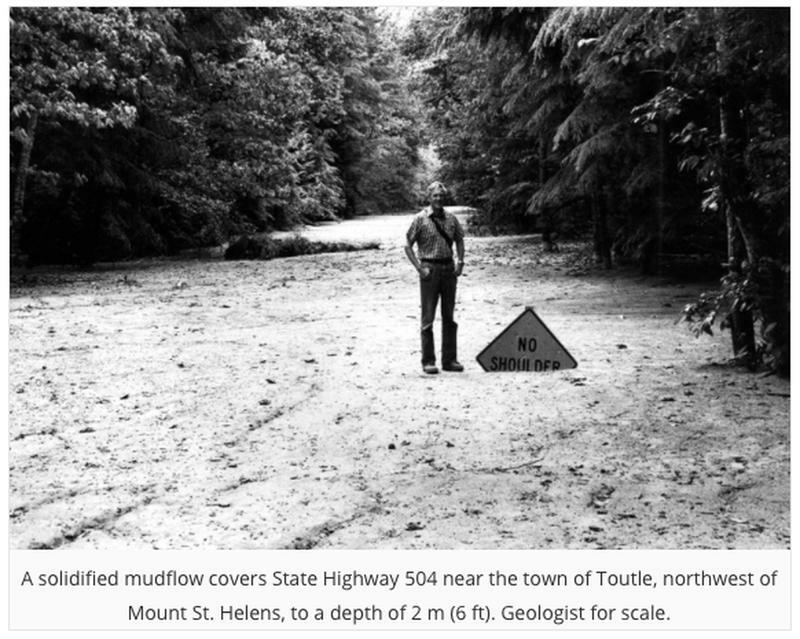 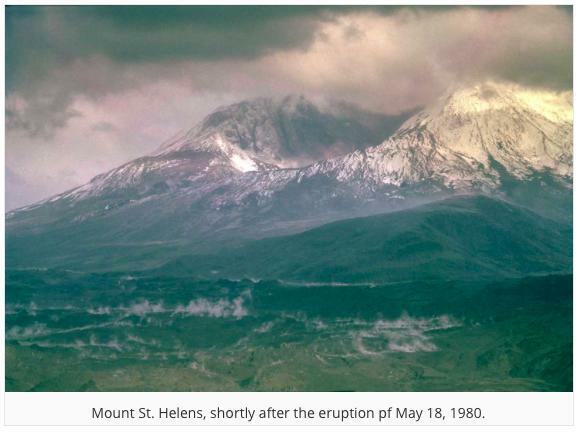 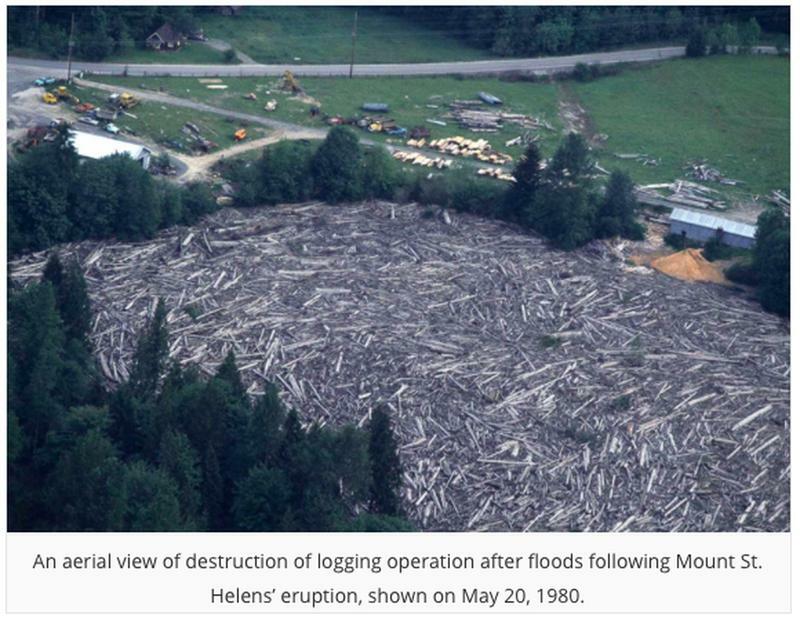 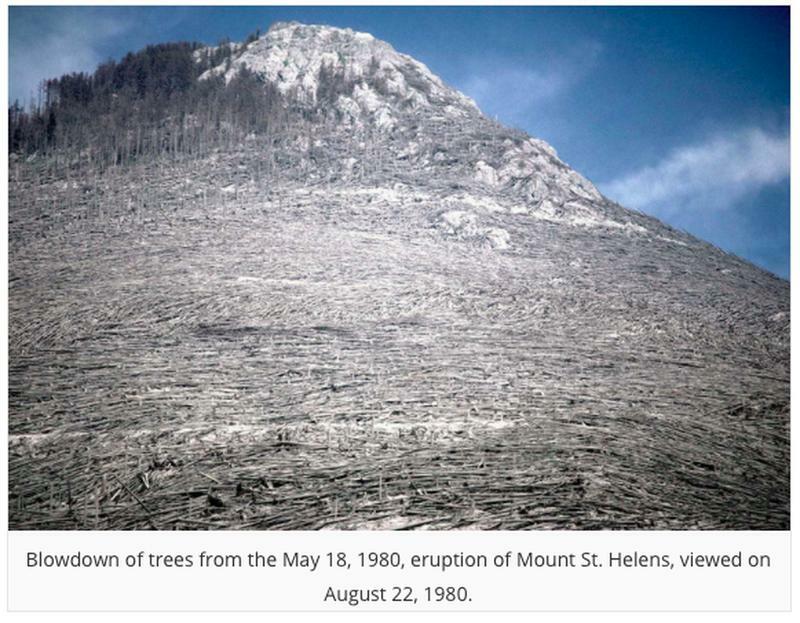 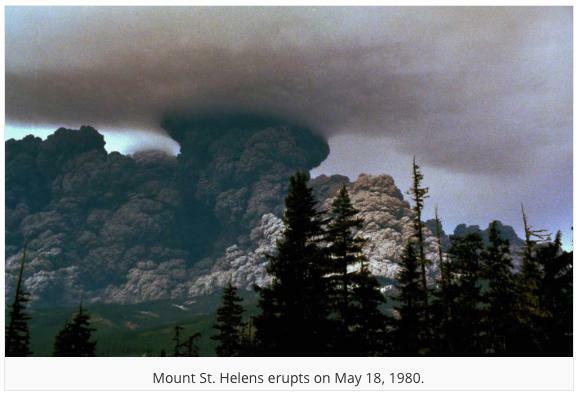 Hundreds of square miles were reduced to wasteland, thousands of animals were killed, and Mount St. Helens was left with a crater on its north side.